Before overcoming her mental illness, for Carlena, taking a shower and eating breakfast was too much for her at one point in her life. Having a conversation with someone, including her family members, felt impossible. Now, Carlena has her own home, and her family dynamics have transformed. She credits a large part of her healing to the therapy and case management services she’s received at the Mental Health Center of Denver since 1989. Previously, she experienced a breakdown, and she temporarily lost custody of her children. Later, in 2012, her daughter passed away, and she lost her home. And it wasn’t a process that happened overnight. Carlena was diagnosed with bipolar disorder, and her therapist helped her understand what that meant and how to treat it. She also read a lot about the topic on her own, and as she understood it more, she committed to working on getting better. So, she encourages others to search for knowledge as well if they’re experiencing something they don’t understand. And to not be afraid to seek help. 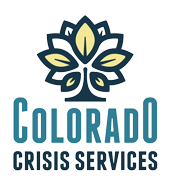 The Mental Health Center of Denver connected her with housing resources and helped Carlena get back into a home of her own. She was also able to utilize the organization’s adult Resource Center, where she obtained furniture for her apartment. It also provided an opportunity for her to interact with others. In addition, she was given a case manager, which made it easier for her to get to her appointments. Her journey of recovery hasn’t just helped her get back to where she wants to be — it has positively impacted her family as well. She loves socializing with others and feels like she can be herself around people again. She knits (a hobby she’s had since she was 14), spends time with her grandchildren and lives an independent life.